Chris Bosh says he wants to make a comeback this season, listing the Rockets as a possibility. 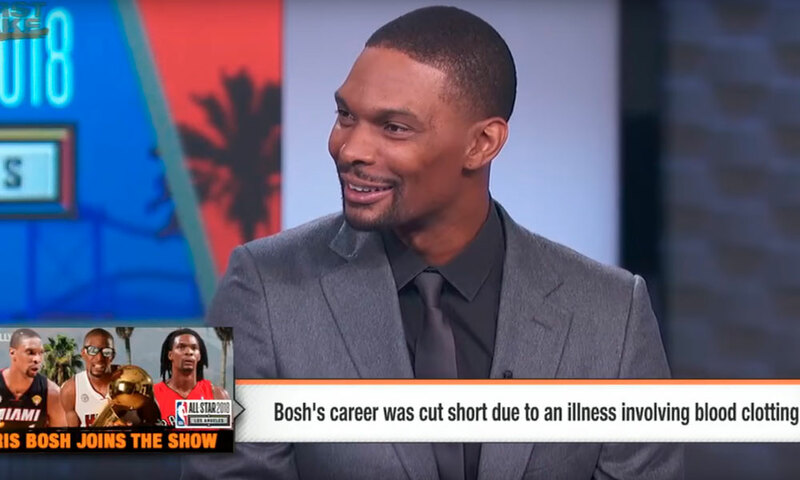 Former Raptor and Heat star Chris Bosh, who hasn’t played in the NBA in two years due to blood clots, made a splash Thursday morning when he said he wants to make a comeback this season. When asked what his dream scenario would be, the 6-foot-10 power forward said he wants to win. The Rockets made two highly-publicized pursuits of Bosh in 2010 and 2014, with Bosh ultimately choosing Miami over Houston both times. Considering that past interest, the buzz this morning made for some good speculation. But you can put away the IPads, Houston fans. The Rockets won’t be pursuing him, ClutchFans has learned. Bosh certainly is an intriguing fit with how the Rockets play, but his health issues are significant. We’re not talking about a knee here. This is his life.